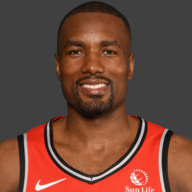 Ibaka got on the glass tonight, especially offensively—he had four offensive rebounds!—and those led to some nice and-one put-backs. Unfortunately, his shooting was putrid, and when he tried to put the ball on the floor to make something happen, he more often than not coughed it up. The team continues to need more from him. Look, no one can guard LeBron James. OG did his utmost to try, though, and to his credit did a lot of things right. But he’s a rookie, and never looks like one more than when he’s stuck defending James in isolation. However, he did get the best of Love a few times when he was defending him in iso on the block. As for his offense, he only took three shots, and James constantly left him to play free safety on defense. Going forward, making open, spot-up shots is going to be a necessary evolution of his game. Valanciunas started the game well, and whenever his teammates found him inside or on the block he was successful—the Cavs don’t have any rim protectors, really, and Toronto outscored them 56–28 in the paint. But JV couldn’t hang with Love defensively, and the result there was a torrent of threes. DeRozan had a really quiet game, but a solid one. The Cavs sent traps at him early, trying to keep the ball out of his hands. 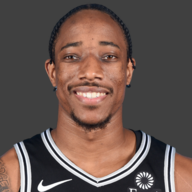 In years past, that would’ve taken DeRozan out of the game entirely, but tonight he made a plethora of smart passes that led to assists. He didn’t really start getting aggressive offensively until the second half, when the team was struggling to score at all. Unfortunately, his offensive contributions weren’t enough, and his defense was spotty. Not sure if Lowry was hungover from Villanova’s NCAA championship win last night, but he sure played like it. He started the game missing everything, which was bizarre to see since he’s been on a shooting tear since the All-Star break, especially from distance. But tonight wasn’t his night—oh, and Calderon simply lit him up on the other end. Miles had a less-than-stellar shooting night, and made a couple poor turnovers. He tried changing it up and driving into the paint, but Free Safety LeBron was waiting for him. Otherwise he was his typical self on defense, resulting in a tough night for him. 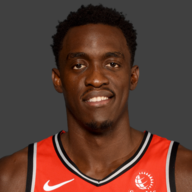 Siakam, in a manner akin to Wright, was solid. 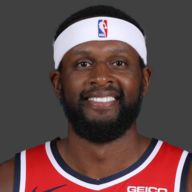 He did the best he could guarding LeBron while he was on the floor, and he wasn’t afraid of taking the ball to the hoop, although he struggled to score in the half-court. 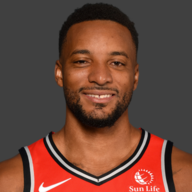 He was a menace in transition when the Raps did get out on the break, and was a major part of the few Raptors runs. 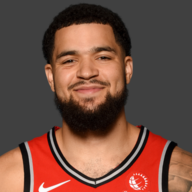 VanVleet was the best bench player tonight, despite being blocked once by Jeff Green (can you hear my heavy sigh?) and hearing it from the crowd. 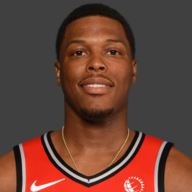 The difference in his defensive ability compared to Lowry’s really showed tonight with the latter being a non-factor, and he probed and fired passes per usual. The game felt a lot more controlled when he was on the floor. 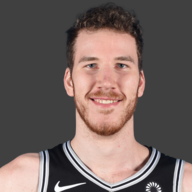 Much like Valanciunas, Poeltl had a tough time covering Love. For a player who almost always looks like he knows where he should be and when, Poeltl struggles when matching up with Love. He is always thinking about being ready to help, and as such he often allowed Love too much space to get a shot off tonight. Wright was solid, but didn’t stand out too much. He played with energy on defense and made a good layup or two, but for the most part was quiet. Not much to say here. In two minutes, Norm scored seven points. I think that deserves a good grade. In two minutes, Bebe had three assists. I also think that deserves a good grade. Casey stuck with his normal rotations and tried to let his guys figure things out on their own. He wasn’t overly reactionary about anything, and didn’t play any lineups that would leave haters screaming. This one’s not on him. Ah, the classic LeBron James-Jose Calderon pick-and-roll. The Raptors couldn’t do anything to stop this play, mostly due to the fact that Lowry was getting torched by Calderon off the bounce. 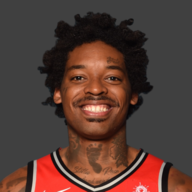 Understandably, the other Raptors defender (whether it be OG Anunoby or someone else) didn’t ever want to leave LeBron and risk him barrelling to the hoop, so it was up to Calderon’s man to stick with him. 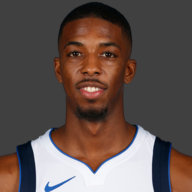 Calderon finished with 19 points on 63.6 per cent shooting. Yeesh. Over and over and over, Toronto kept getting burned in transition. As soon as they would miss or turn the ball over, Cleveland already had them scrambling, with LeBron especially firing picture-perfect passes to guys waiting with their hands up. There were several times Calderon had about thirty years to wind up to shoot. The Raptors allowed 15 points off of 11 turnovers. This, obviously, must be better going forward. Kevin Love is a major problem for Toronto’s bigs. 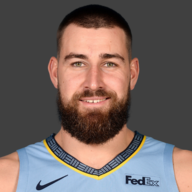 Valanciunas is too slow to keep chasing him out to the perimeter. Poeltl is mobile enough to stay with him, but he’s very help-conscious, and as a result often allows Love too much space. The end product is Love draining triple after triple. 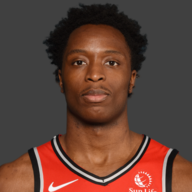 Having Siakam on him is the best bet, but he’s typically tasked with guarding LeBron. This is going to be something to keep an eye on if these two teams meet in the playoffs.